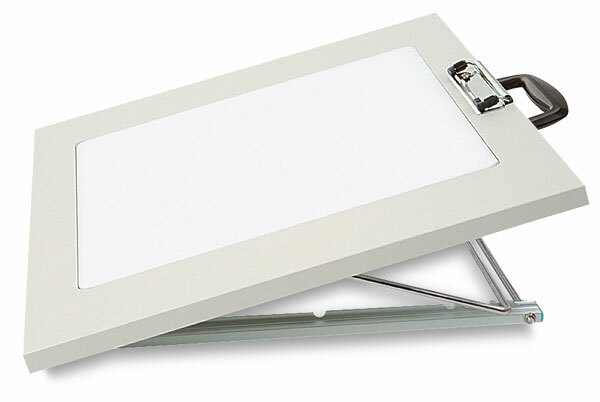 This professional style drawing board has a translucent surface that can easily be back-lit — perfect for drawing, sketching, and tracing in the studio. A great choice for cartooning, it's constructed with a smooth, non-warping Melamine® blend material that works well with any drawing medium. It has an adjustable stand that can be angled to suit your needs. Use the attached clips to secure artwork without damaging the surface. The board is lightweight, and it comes with sturdy handles for easy portability. Use it outside the studio for sketching on the run.